Since the Supreme Court decides the fate of lawsuits that attack safeguards for clean air, clean water, endangered species, and special natural places, it is important that the Supreme Court be made up of Justices who respect the right of future generations to a healthy planet. Unfortunately, however, four of the current Justices–Chief Justice Roberts and Justices Alito, Thomas, and Scalia–are no friends of the earth. Four other Justices–Ginsberg, Sotomayor, Kennedy, and Breyer–have been much more sympathetic to environmental issues. 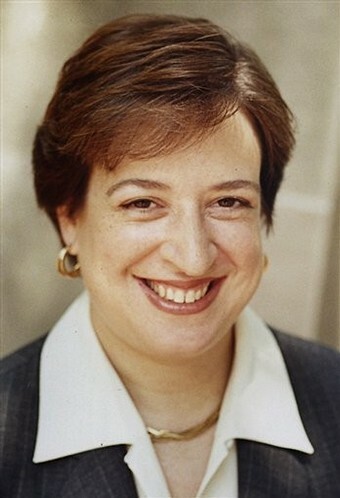 Kagan is replacing the fifth pro-environment Justice, John Paul Stevens. In his decisions, Stevens upheld the power of governments to regulate pollutants. So while the appointment of Kagan does not give us an environmental majority on the Court, her appointment does mean that we should not lose ground. This entry was posted on Tuesday, August 10th, 2010 at 7:19 am	and is filed under Good news for Mother Earth!. You can follow any responses to this entry through the RSS 2.0 feed. You can leave a response, or trackback from your own site. I’m so glad to know all this, April. Thank you for doing the “due diligence.” We need all the help we can get! Great news indeed. May there be hope for a future environmental majority! April, Thanks for the good news! This gives me hope for the future of our environment.